Reading is very important for kids and its importance cannot be emphasized enough in them. As parents, you need to make daily reading as a high priority. Many scientists agree that kids who used to read on a daily basis have a larger vocabulary than those who did not read at all. It turns out that reading provides a lot of advantages and benefits for kids. Not only does reading improve a kid’s vocabulary bank as well as to help them understand how to read and write, but it also helps the kids to comprehend different topics about their surroundings and everyday life. You must strongly agree that in order to raise some global awareness for kids, you really have to come up with some ideas of how to make them knowledgeable about the world. I suggest you start introducing different places and cultures to the kids. Maybe start with what you know, and then progress to the cultures and heritage of the place. Why don’t you start with Russia? Reading Russian books is a great way to introduce your kids to Russia and its culture. So, here is the collection of 6 most recommended Russian books for kids that you would want to have in your dream library! Приключения Незнайки or The Adventures of Dunno is a beautifully illustrated book from the Soviet Literature Collection for Children. It is about the adventure of a tiny mite called Dunno. Dunno is an underachiever who struggles his way through more than a few adventures. It is fun, interesting, and never boring to read to your kids. It does not hammer you over the head so you will likely keep coming back to enjoy the adventure again and again. The book mainly talks about important topics like friendship, helping, and respecting others but without appearing too preachy. There are fifteen interesting characters with distinct personalities such as a thinker/inventor, a doctor, a hunter, two mechanics, an artist, a musician, and so on. Those characters are walking stereotypes of traits. Russian folk tales are never light-hearted. The book tells about a darling little horse with big soft ears and the wisdom of the ages. You will find a lot of epic poems that tell a number of compelling anecdotes with lots of laughs and adventure in the book. I would like to suggest you pick up the translation of 80 full pages of rhymed couplets since it is easier to read that sometimes it just rolls off the tongue. I think a lot of kids would enjoy this, especially if they read slowly in order to enjoy the language. It offers a good illustration, too. There are 26 chapters in 136 total pages that make Uncle Fedor, Dog, and Cat a terrific book for young readers and for reading aloud, too. Many of the illustrated stories are the fun fantasy for a kid, as they usually include a child living independently with a talking cat and a talking dog, and some other quirky characters, like a tractor that uses food as fuel. The Russian origins in the book are clear throughout. The book has a lot of sly humor and it was constantly on the edge of strongly entertaining. However, there is a tad too much violence in the story, like whipping the cow, the dog wanting a rifle to hunt, and so on. Some of you may be afraid at times that the story is going to go in a direction you will not appreciate. However, there are also some lovely surprises, including the ingenious and non-violent solution to how else the dog can hunt. Also, there are some positive environmental messages in it. Anyone can tell that this book is a fairy tale in verse, a thought-provoking fairy tale to be exact. This is a book full of imagination, adventure, and beautiful verses adorned with some humorous illustrations. What you may love about Pushkin’s writing style are the words he chose to describe every image and every thought. It is a rich, exquisite language that leaves the readers spellbound with a silly, dreamy smile out of amazement. The book tells the story of three sisters that dreamed of marrying the Tsar. Eventually, the Tsar chose the youngest sister. As a consequence, the others went to work for them at the palace. The elder sisters and the mother are envied and jealous because of the youngest sister’s good fortune that inflicts upon them the undesirable consequences. Pushkin’s verse continues to astonish the reader with its easy flow. The book tells the story of the Finnish wizard. The wizard plays such a crucial role in the story because the wizard saves the beleaguered Kiev from the barbaric Pechenegs by bringing the main character Ruslan back to life at the end of the story. The Finnish wizard is to Ruslan what Merlin was to King Arthur. Ludmila who is Ruslan’s legally wedded wife was kidnapped by the evil Chernomor before they actualized their marriage and whose liberation becomes his sole goal throughout the story. Малахитовая шкатулка or Malachite Box is such a gem of fairytales about one particular region in Ukraine/Russia. Pretty sure you will love every minute of it. It is beautifully illustrated. The book will take you to a new culture that you do not know much about. You will be shown insights of the peasant culture that lived during a medieval rule. It contains the fantasy aspects of Gods that have the power to reward good deeds and horrifically punish the vain and selfish. 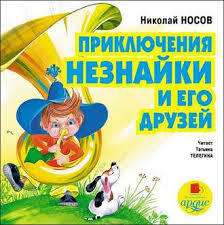 So, those are 6 most recommended Russian books for kids. Choose one or two for your kids!